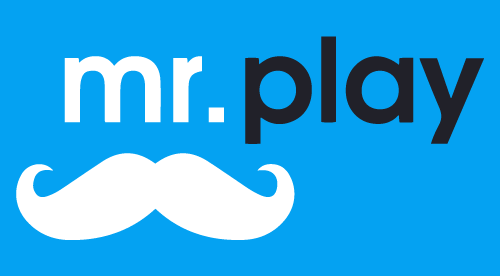 A new addition to igaming, mr.play came online at the tail end of 2017. The fictional Mr. Play himself (think something like Mr. Green) claims to have had years of experience in the casino business, and wants to deliver an experience that players need. The site also states it’s focused on responsible gaming and customer care. Layout wise, it's simple but striking. There's no over-embellished landing page or complicated menu – as soon as you connect to the site you're greeted by a variety of games. Everything is clearly laid out, although there's a lot happening visually which may put you off a bit if you prefer simplistic site designs. Casino games and online slots are mr.play's focus, and this specialisation really pays off when competing witb other new casinos. There are over 250 games on the site, and you'll find titles here from all the largest and most respected software developers, including Microgaming, NetEnt, Play'N Go and Neogames. Video and classic slots make up the majority of the games on the site, and there's a good variety of new and old titles to get stuck in to. If you enjoy slots themed after your favourite movies, stars or shows, then you might be a little disappointed as these are few and far between (although there is Game of Thrones). There are plenty of excellent games to choose from. All titles are intuitively categorised as well, so you can choose to search for video slots, classic titles, casino games, featured games and new games. This means you can get straight to your favourites. Given the huge number, it also makes browsing manageable. Thanks to its focus on slots and casino games, Mr. Play doesn’t have any sportsbook or bookmaker features. This isn't a bad thing however, because it does mean that its slot selection is both impressive and high quality, which helps it to make its mark – especially important given how new the site is. There are promotions available, and new members aren’t locked out of any offers either. Newly signed-up members can enjoy 100 free spins and a shot at a £200 bonus. You can also accrue bonus points as you play, which can be cashed in for prizes. While there aren't any bookmaker services, the site does also offer scratch cards, which is something a bit different. This can help to break things up if you want to try your hand at something other than the slots and casino games. Overall, Mr. Play is a solid offering with lots to keep slot fans happy.